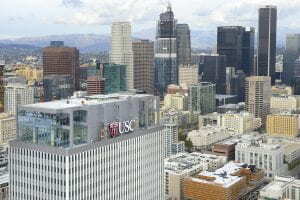 The university now rents more than 1.3 million square feet of office and laboratory space in the Southern California region, about 20 percent of it in the tower. It’s part of USC’s dramatic expansion during the past four years, with 2 million square feet of university-owned space added or nearing completion. The total includes 1.2 million square feet at USC Village, which will open in 2017.